Architecture for Humanity is a wonderful charity that helps people and communities that are in need. The organization uses architecture and design to bring about change. 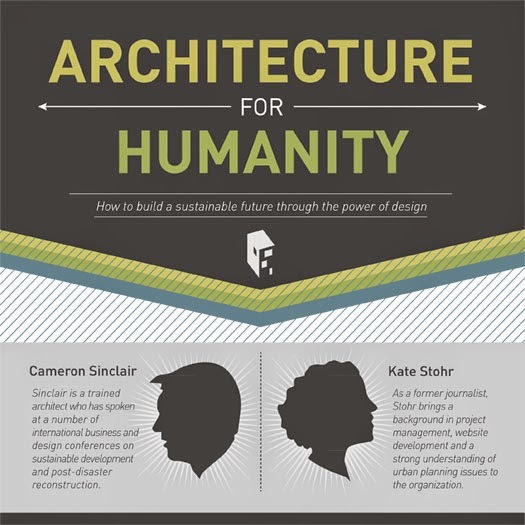 Architecture for Humanity was founded by Cameron Sinclair and Kate Stohr in 1999. It was originally started to help the people of Kosovo, and give the refugees from the conflict shelter. Over the course of 15 years this organization has completed over 245 projects 28 countries! They offer pro-bono designs, construction management service, as well as funding for projects in all different places of the world. 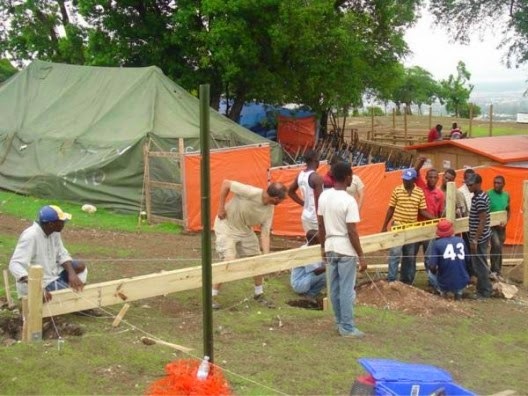 They help communities rebuild after natural disasters, and creates schools and playgrounds in poor countries around the world. 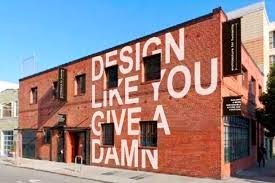 The want to show people how much architecture can effect and positively improve the lives of others. trated on poverty, and helped programs such as youth sports and outreach, houses for refugees (mentioned above) , and a mobile clinic to help with HIV/Aids. Architecture for Humanity has branched out to 16 countries all over the world, with 58 total chapters.